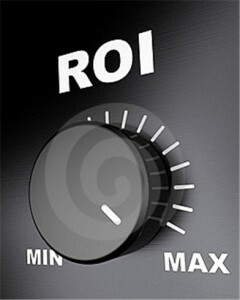 If you're like most marketers, you're looking for surefire ways to improve the ROI of your marketing. When you work with Spectrum Printing Company, you can rest assured that we'll take every possible step to ensure your direct marketing campaigns achieve the highest possible ROI. Spectrum Printing Company is your one-stop-shop for direct mailing campaigns, and we have worked hard to ensure that almost every source of waste in the process of planning and executing a campaign has been eliminated. Because we can handle every stage in the process all under one roof, we are able to offer a faster and more cost-effective on-time solution. Every campaign we work on benefits from our extensive experience, comprehensive waste reduction efforts, lean production processes, in-depth knowledge of postal regulations, and the elimination of transportation between different design, printing and mailing service providers. This adds up to a more efficient cost structure and savings that we can pass along to our valuable customers. It also means compressed timelines that allow us to hit your deadlines. We start by working with you to collect and analyze your database of current customers. We clean the list for you and perform NCOA on it to remove duplicate and incorrect records, updating and correcting them where possible. We also engage with list brokers, who can take your current customer file and increase its size by appending similar prospects to it based on the customer attributes you use to define your target market. We can increase the number of your prospects who may be similar to your current customers based on age, gender, income, education, geography, marital status, past purchase history, self-identified interests and values, and more "selects." Delivering a message to prospects who are demonstratedly and favorably predisposed to your product or service inherently increases the likelihood of higher response rates as compared to a untargeted broadcast-style approach that treats all customers the same. Above and beyond targeting, your messages can be further personalized in order to employ your prospects name, and can include variable data from your database that references their known interests and past purchases in order to infer possible future needs that your organization could satisfy. Ready to get started planning a high ROI direct marketing campaign? Complete the form nearby to set the process in motion or call us at (520) 571-1114. Once we've received your submission, one of our direct mail marketing experts will contact you to schedule a campaign planning consultation. Plan a High ROI Direct Mail Marketing Campaign!